Amsterdam, Brussels, Dublin, Lisbon, London and Paris – 17 April 2019 – Euronext, the leading pan-European exchange, today announced that four of its market operators have been registered by ESMA as Benchmark Administrators under the new EU Benchmark Regulation (BMR). This compliance with the provisions of the Benchmark Regulation confirms the quality of Euronext’s governance and control principles and rules, today acknowledged by key European regulators: the AFM in the Netherlands, AMF in France, CMVM in Portugal and FSMA in Belgium. An application for the authorisation of Euronext Dublin as a Benchmark Administrator will be made later this year. Protecting consumers and investors through greater transparency and adequate rights of redress. With over 400 indices of all sizes and profiles, Euronext has developped a portfolio of indices that provide investors and issuers with benchmarks necessary to measure and trade the performance of key segments and strategies throughout the world. It ranges from national flagship blue chip indices (including AEX®, BEL 20®, ISEQ®, CAC 40®, PSI 20®), to thematic, strategic and sectorial indices, as well as on-demand customised indices. Over the past decade, Euronext has also partnered up with cutting-edge advisory and rating agencies – such as Carbone 4, CDP or Vigeo-Eiris, and developed a series of indices incorporating environmental, social or governance metrics. More than 10,000 exchange traded products, funds and derivatives are associated with Euronext indices, with billions euros in AUM (Asset Under Management). 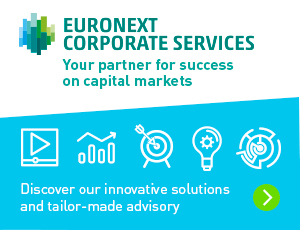 New York, 16 April 2019 – Euronext announces today the rebranding of FastMatch, its Electronic Communication Network (ECN) for Foreign Exchange (FX) trading, into Euronext FX. This is a new step in the further integration of FastMatch, which has been acquired by Euronext in 2017 as part of its strategy to diversify its top line and extend its “best execution” value proposition to an additional asset class. This rebranding reflects the evolution of FastMatch since it joined the Euronext Group. While the FastMatch brand name is synonymous with speed and best in class technology, Euronext stands for transparency, regulatory robustness, fairness and accountability. FastMatch was perceived as an industry disruptor thanks to its award-winning technology. While maintaining its technology leadership, the company has gained operational maturity and can now rely on the backing of a large and stable organisation such as Euronext. The FastMatch name will not disappear as it remains the brandname of the trading technology powering Euronext FX. Building on the name and network of the Euronext teams will allow Euronext FX to acquire larger institutional clients, to interact more closely with Euronext’s distribution network, to leverage Euronext’s market data services and to rely on improved infrastructure support. Similarly, the legal entity FastMatch, Inc. becomes Euronext FX Inc.
Amsterdam, Brussels, Dublin, Lisbon, London and Paris – 8 April 2019 – Euronext, the leading pan-European exchange, announces today that it has received the recommendation by the Norwegian Financial Supervisory Authority (Finanstilsynet) to the Norwegian Ministry of Finance, recommending that Euronext should be approved as a suitable owner of up to 100% of the capital of Oslo Børs VPS, as applied for, without ownership or other restrictions. Euronext welcomes this positive recommendation from Finanstilsynet and now awaits final approval from the Norwegian Ministry of Finance which is the last major condition to complete the transaction. Most of the condition precedents highlighted in Euronext’s Offer document available on www.euronext.com are already met, including but not limited to: (i) Euronext has already secured more than the majority of the capital of Oslo Børs VPS (53.2%) including pre-commitments, shares tendered to the offer, and directly owned shares and (ii) the Euronext’s college of regulators has given its non-objection to the contemplated transaction. In addition, Euronext’s Reference Shareholders who represent 23.86% of Euronext’s capital have confirmed joint support. Euronext remains confident it will be able to complete the transaction by the end of Q2 2019. Following requests from Oslo Børs VPS shareholders who to date have either yet to tender their shares to any offer, or tendered to the competing offer, whether Euronext would offer liquidity to all remaining shareholders, Euronext confirms that it will ensure that all remaining shareholders will get an opportunity to tender their shares to Euronext at the same terms in connection with or following final regulatory approval and fulfilment of all offer conditions, through an extended, new or re-opened offer. Euronext is convinced that the transaction will be of great benefit to Oslo Børs VPS and all its clients, employees and the wider Norwegian financial community. In particular, Euronext remains strongly committed to supporting the strong international listing franchise in the oil, seafood and shipping sectors that Oslo Børs VPS has developed over many years, as well as its very successful listings of bonds and equity certificates. In addition, Euronext will continue to support Norwegian SMEs, leveraging on the strengths of its large SME markets. Euronext remains strongly committed to securing the position of VPS, the national CSD, through technology investments, maintained operational independence and continued local supervision and regulation. Euronext also remains committed to ensuring appropriate Norwegian representation in the Boards of Directors of the acquired entities including independent board members and employee representatives. Euronext has already announced that Tom Vidar Rygh, Senior Advisor at international private equity fund Nordic Capital and previous Chairman and Member of the Board of Oslo Børs, will join the Board of Directors of Oslo Børs VPS post completion of the transaction and subject to regulatory approval. Stéphane Boujnah, CEO and Chairman of the Managing Board of Euronext said: “Euronext is convinced it is the best owner for Oslo Børs VPS and welcomes the positive recommendation of the Norwegian financial supervisory authority to the Ministry of Finance that Euronext should be approved as a suitable owner of up to 100% of Oslo Børs VPS capital, as applied for, without ownership or other restrictions. Furthermore, Euronext confirms that it will ensure that all remaining shareholders will get an opportunity to tender their shares to Euronext at the same terms in connection with or following final regulatory approval and fulfilment of all offer conditions. Amsterdam, Brussels, Dublin, Lisbon, London and Paris – 5 April 2019 – Euronext, the leading pan-European exchange in the Eurozone, today announced trading volumes for March 2019. In March 2019, the average daily transaction value on the Euronext cash order book stood at €7,724 million, down -13.0% compared to March 2018 and up +5.6% from the previous month. For the first quarter of 2019, the average daily transaction value on the Euronext cash order book was €7,239 million, down -16.9% compared to the first quarter of 2018. The average daily transaction value on the ETF order book was €215 million, down -30.1% compared to March 2018 and down -0.9% from the previous month. 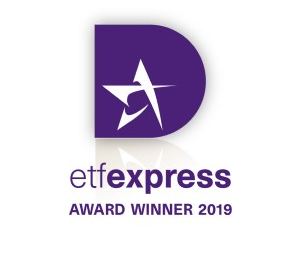 At the end of March 2019, 1,185 ETFs were listed on Euronext compared to 1,150 at the end of December 2018.
the average daily volume on commodity derivatives reached 45,585 contracts, down -3.3% compared to March 2018 and down -33.1% from the previous month. For the first quarter of 2019, the overall average daily volume on Euronext derivatives stood at 585,867 contracts (-1.5% compared to the first quarter of 2018) and the open interest was up at 17,385,594 contracts (-0.7% compared to the end of March 2018). In March 2019, the average daily volume on the spot foreign exchange market of FastMatch, operating as a Euronext company since August 2017, stood at $21,039 million, up +12.1% compared to March 2018 and up +16.0% from the previous month. In March 2019, Euronext welcomed Spanish real estate SME Whiteni Rcajal on its Euronext Access segment. In addition €1.1 billion was raised in follow-on equity, of which €177 million by Belgian real estate player Montea SCA. A total of €94.5 billion was raised on Euronext in bonds of which 4 were green bonds, including a €2 billion green bond from Société du Grand Paris. 04 Avr 2019 Convening of the Annual General Meeting of Shareholders of Euronext N.V.
Amsterdam, Brussels, Dublin, Lisbon, London and Paris – 4 April 2019 – Euronext today announced that its Annual General Meeting (AGM) will take place on Thursday 16 May 2019 at 10.30 CET, at Beursplein 5, 1012 JW Amsterdam, The Netherlands. The AGM will be conducted in English. Pursuant to Dutch law and Euronext N.V.’s Articles of Association, the persons who will be considered as entitled to attend and vote at the AGM are those persons who are registered as such in the administrations held by their financial intermediaries (the "Shareholders") on Thursday 18 April 2019, after processing of all settlements on that date (the “Registration Date”). Shareholders holding their shares through Euroclear France S.A. (i.e. the public) who wish to attend the AGM, provide instructions or grant a power of attorney to vote on their behalf, must complete the form (voting form / attendance card request) provided for this purpose by their financial intermediary or by Euronext Securities Department – BNP PARIBAS Securities Services. The Shareholders should be aware that these documents must be received, no later than on Tuesday 7 May 2019 by their financial intermediary for receipt no later than on Thursday 9 May 2019 by BNP Paribas Securities Service CTS Assemblées Générales, 9 rue du Débarcadère 93761 Pantin Cedex, France. The financial intermediary should deliver to the Shareholder a certificate of holding containing: name and city of residence of the Shareholder; number of shares; name and city of residence of the attendee (if different from the Shareholder) and declaration that the shares were in custody with the Euroclear France admitted institution on the Registration Date. This certificate will serve as the admission certificate for the AGM for the Shareholder. Shareholders holding their shares through Interbolsa in Portugal who wish to attend the AGM, provide instructions or grant a power of attorney to vote on their behalf, must complete the form (voting form / attendance card request) provided for this purpose by Euronext Securities Department – BNP PARIBAS Securities Services. The Shareholders should be aware that these documents must be received, no later than on Tuesday 7 May 2019 by their financial intermediary for receipt no later than on Thursday 9 May 2019 by BNP Paribas Securities Services, PT Local Team, Edificio ART’S – Av. D. Joao II – Lote 1.18.01, Bloco B, 1998-028 Lisboa, Portugal. The financial intermediary should deliver to the Shareholder a certificate of holding containing: name and city of residence of the Shareholder; number of shares on the Registration Date; name and city of residence of the attendee (if different from the Shareholder). This certificate will serve as admission certificate for the AGM for the Shareholder. We advise Shareholders to make contact with their financial intermediary for any questions. Persons without a valid admission certificate will not be given access to the meeting. Attendants may be asked for identification prior to being admitted. Managing Board and Supervisory Board of Euronext N.V.
Euronext turns the spotlight on new leading companies. Measure portfolio macro risk with unique macro sensitivity analysis based on machine learning.